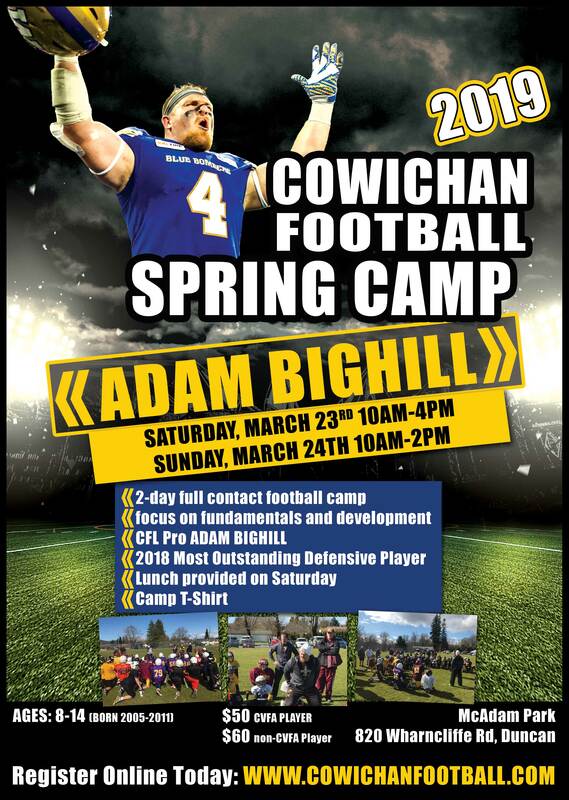 Cowichan Football’s 7th Annual Spring Development Football Camp with the CFL’s 2018 Most Outstanding Defensive Player and Winnipeg Blue Bomber Adam Bighill dates have just been announced! 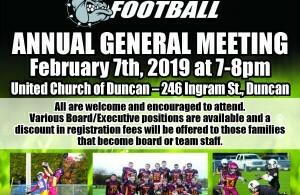 Joining Adam this year will be coaches from Cowichan Football as well as coaches from other Vancouver Island Football Associations. Coaches will be getting players off on the right foot with the fundamentals of football. 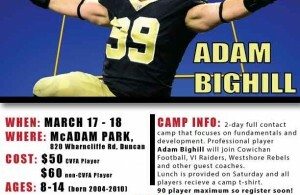 Camp Description: This is a skills camp which will focus on developing the fundamentals at each position. The camp is divided into 2 days. Day 1 of the camp will consist of rotating positional drills, position specific drills, and cross-over drills where players will get an opportunity to take on their position opposites. On field skills will be taught and full equipment is required for these drills. Day 2 of the camp is positional drills and scrimmages. Players will be assigned to teams based on age and the teams will prepare for a scrimmage games where they can test out what they have learned. Camp T-Shirt and Saturday Lunch provided for each player. The camp is open to all football players. Gear is available with deposit.